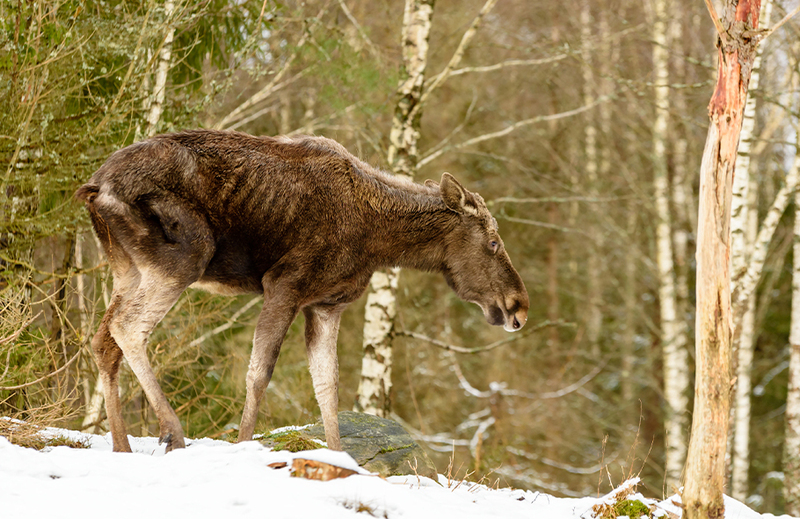 A recent report by the Centers for Disease Control and Prevention (CDC) has confirmed chronic wasting disease (CWD) is now present in 24 U.S. states. CWD, also known as “zombie deer disease,” affects members of the Cervidae family, which includes free-ranging deer, elk, and moose, and causes the brain degeneration of infected animals, resulting in abnormal behavior, loss of bodily functions, and ultimately death. Despite there being no known CWD cases in humans, the CDC also issued a warning about the possibility of contamination to those who may come in contact with infected meat. While this may seem like news, it’s not. Chronic Wasting Disease has been in the U.S. since 1967, and for years researchers have been unable to rule out the possibility of human contamination. However, new research concerning the possibility of transmission through the eating of infected meat may confirm our worst suspicions. Scientists believe prions cause CWD, as well as a number of fatal neurodegenerative diseases, known collectively as transmissible spongiform encephalopathies (TSEs), which affect both humans and animals. A prion, derived from the words “proteinaceous infectious particle,” is a misfolded protein containing infectious properties. Unlike other pathogens, prions do not contain nucleic acid, which enables pathogens such as bacteria and viruses to reproduce and cause disease. Instead, scientists hypothesize that prions replicate and spread by inducing other normal proteins to become misfolded. Together, these prions propagate in the membrane of normal cells, generating new infectious material that can be readily transferred to new hosts. 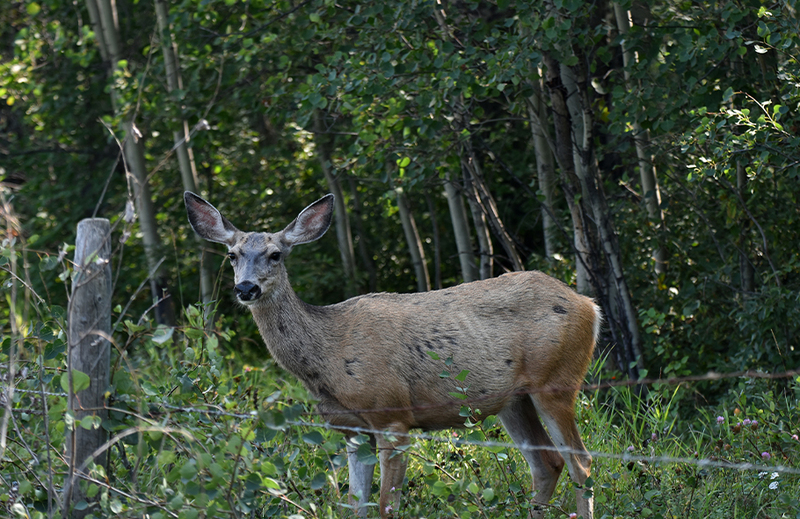 Chronic Wasting Disease can be spread through urine, feces, and saliva. The level of exposure required for cervids to become infected is very low. If this isn’t scary enough, a study by the National Wildlife Health Center (NWHC), reveals that plants such as alfalfa, corn, and tomatoes can absorb CWD. Even certain types of soil are at risk of becoming infectious reservoirs. A 2009 Canadian study shows the interaction between prions and soil can increase infectivity. Furthermore, the soil can retain the infection long after the host is gone, through feces or the decomposition of an infected carcass. Clay-based soil can increase infectivity up to 680 times. These deformed prions cannot be destroyed by the use of disinfectants, detergents, freezing, radiation, or even incineration. Is there evidence that CWD can be transmitted to humans? Historically, prions have been known to propagate in sheep as Scrapie, deer as CWD, cattle as Bovine Spongiform Encephalopathy (BSE) or as more commonly known, “mad cow disease,” and humans as Creutzfeldt-Jakob Disease (CJD) or as variant Creutzfeldt-Jakob disease (vCJD), the human form of mad cow disease. There are currently three forms of CJD: familial which is inherited (fCJD); sporadic which cannot be explained (sCJD); and acquired CJD, which is contracted by an infected host. In 2003, CJD in two deer and elk hunters (54 and 66 years of age) was reported. The report implied that the patients had striking neuropathologic similarities and that their illness may represent a new entity in the spectrum of prion diseases. A third patient (63 years of age), who was also purported to have been a big game hunter, was subsequently reported from the same area. However, none of the three patients were reported to have eaten venison from the CWD-infested areas of the Western United States. To date, only two nonfamilial CJD cases with a positive history of exposure to venison obtained from the known CWD-endemic areas have been reported. One of the patients was a 61-year-old woman who grew up in an area where this disease is known to be endemic, and she ate venison harvested locally. She died in 2000, and analysis of autopsy brain specimens confirmed that the patient’s CJD phenotype fit the MM1 subtype, with no atypical neuropathologic features. The second patient was a 66- year-old man who was reported to have eaten venison from two deer harvested in a CWD-endemic area. However, none of the three patients were reported to have eaten venison from the CWD-infested areas of the Western United States. However, both deer tested negative for CWD. Currently, there are no known cases of people infected with CWD. However, what we do know is that diseases involving prions, which originate in animals, could potentially infect humans. After the discovery of Mad Cow Disease in Britain in 1986, the British government insisted for years that BSE posed no threat to humans. In 1995, vCJD claimed its first known victim. The transmission of BSE to humans (vCJD) indicates that the species barrier may not protect humans from exposure to animal-based-prion diseases. If CWD follows the paradigm of Mad Cow Disease, humans could be at risk of a variant of a prion disease. Additional compelling evidence comes from an ongoing study by the Alberta Prion Research Institute (APRI). After experimenting on macaques, the APRI concluded that the non-human primate most closely related to humans did, indeed, become infected. During the study, CWD was transmitted orally and intracranially and in small doses. The most alarming aspect of CWD is the covert manner in which it operates. The horrendous symptoms are the final stage of this disease. According to the CDC, CWD has a lengthy incubation period, with a minimum of 17 months. The max is unknown, however, the macaques that were studied showed incubation times from 4.5 to 6.9 years. Therefore, it’s realistic that the deer we harvest, which are showing no symptoms at the time, could be carrying a deadly secret. According to the CDC, the symptoms of CWD are drastic weight loss, stumbling, lack of coordination, listlessness, drooling, excessive thirst or urination, drooping ears, and lack of fear of people. To date, CWD has infected more animals than mad cow disease. How does CWD testing work? For those who are suspicious of their harvest within the 24 states infected with CWD, precautions can be taken. However, the process is not easy or cheap. The following information was gathered from the Pennsylvania Animal Diagnostic Laboratory System. Each state has implemented similar testing procedures. First, the only part of the kill that can be tested is the head with the neck attached. The head will not be returned to you after testing is completed, so you can forget about mounting it. All specimens are destroyed by the lab once testing is complete. You can saw off the antlers if you’d like. However, keep in mind that CWD also can be found in the velvet of cervid antlers. Next, you must take your deer head to a designated drop-off location. There is a fee for this. If you’re not near a drop-off location, you may be able to ship the head. However, it must be shipped via overnight mail, an added expense. Testing will not be performed on deer that are degraded beyond the ability for testing. You probably have a 3-to-5-day window to get your deer tested. You must chill it properly; DO NOT FREEZE. The testing itself is an additional fee, which starts around $80. Testing can take up to 3 weeks. Currently, less than 2% of the population is preserving our lands and wildlife resources through the act of hunting. 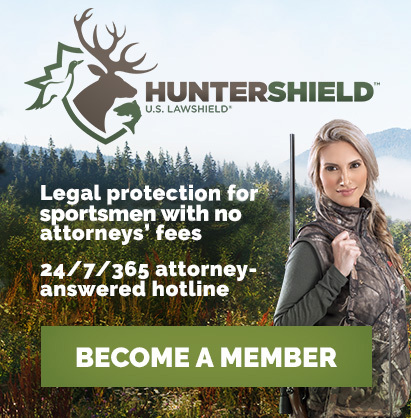 With a realistic threat to human life, what will happen when hunters realize there’s a good chance of contracting a fatal disease by eating/handling the very thing they are protecting? Unfortunately, short of a miracle cure, CWD is going to continue to spread. We can only hope that through the advancement of science and technology, a solution is found. 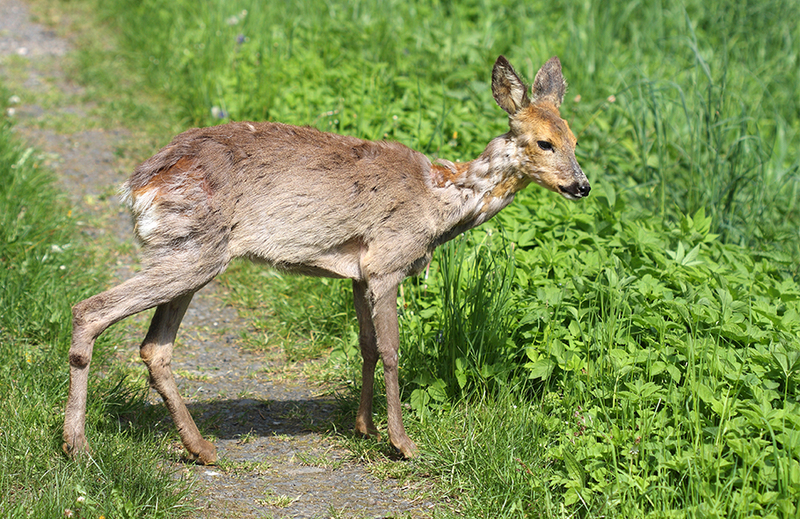 The fact that an animal-based prion disease has already entered the human food-chain and that CWD has already infected a closely-related species indicates a precautionary approach should be taken when it comes to the potential risks of CWD transmission. Currently, the Centers for Disease Control and Prevention (2015), the World Health Organization (2012), and many local public health departments advise against human consumption of CWD-infected animals. Hunters should take precautions when pursuing or handling animals that may have been exposed to CWD and refrain from eating any meat from animals known to be affected.